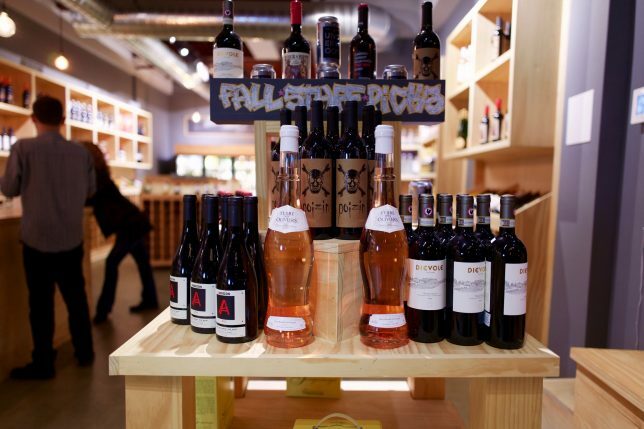 Boutique wine and spirits shop Grain & Vine calls trendy Brooklyn neighborhood East Williamsburg home and thrives on introducing its customers to new products they might otherwise never try. Owner Michael Nagdimunov is a big fan of Vend, and he’s equally excited about our new integration with Square. We chatted with him to find out a bit more about Grain & Vine and how Vend and Square are helping his business thrive. Read our interview with Michael below! Tell us a bit about how you got started. What’s Grain & Vine all about? 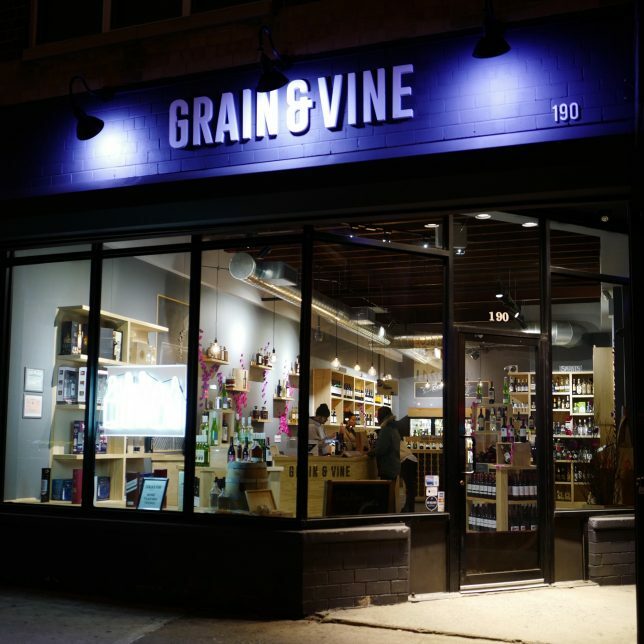 Grain & Vine is a true community project, started by realizing that somewhere as vibrant and diverse as East Williamsburg not having their own wine and spirits shop was ridiculous. So we decided that our longstanding industry experience and enthusiasm for Brooklyn would be put to good use by opening up a neighborhood shop that didn’t just carry big-name producers and the same things you can buy everywhere else, but instead searched the globe to find exciting products that would help create memorable life moments for our neighbors. East Williamsburg continues to change everyday with the openings of new bars, restaurants, boutique stores, and more. Wherever you might be from, there’s something here for you. We’re at the confluence of Williamsburg, Bushwick, and Bed-Stuy, which means we get a little influence from all three iconic Brooklyn neighborhoods and, in typical local fashion, continue to make those influences our own. Just within two blocks of our shop, you’ll find restaurants serving Chinese, Spanish, pizza, and burgers, as well as a quaint coffee shop, a well-known tattoo parlor, and one of the best grocery stores in Brooklyn. We’ve got it all over here, and we couldn’t be more thrilled to be a part of it. We were looking for a POS system that could handle the retail aspect of things but that also had robust cost management tools and would integrate well with the Shopify platform, because we built our website on it. While not without hiccups, Vend checked off all boxes. What also sold us is that Vend continues to evolve — and we evolve right along with it, which makes for a perfect partnership. Setup was a breeze. We used hardware recommended by Vend and went with an iPad (encased in a Heckler’s Design stand), a SocketMobile 7Ci scanner in iOS mode, and a STAR TSP printer. Ninety-nine percent of the time they all work in harmony without an issue. On the rare occasion where hardware malfunctions, it’s not that difficult to reset it and get it going again. Describe your experience with the Vend and Square integration. How has it affected Grain & Vine? We’ve used all types of payment integrations since Vend began partnering with different processors. The Square integration is by far the easiest and most hassle-free to date. As for how it’s affected us, not having to worry about payment processing anymore allows our staff to concentrate on the most important aspect of our business: helping customers find a perfect bottle of wine or hooch. Combining the ease of processing and providing us with a competitive rate (we estimate we’ll save about $1000 annually by processing with Square) made the switch a no-brainer. Selling wine and spirits to people — and being passionate about it — has to start with a strong relationship with the products themselves. We love wine, whiskey, tequila, gin…everything! Because not only do we enjoy the tastes, but we see how important all of our beverages are to our most cherished life experiences. Whether it’s a bottle of fine wine with an anniversary dinner, margaritas with a backyard BBQ, or swanky homemade cocktails to celebrate date night, what we drink becomes as much a part of our experiences as anything. So having experienced that for ourselves, it was only natural for us to want to share that with others. This is a bit of a trick question for us, and I’ll tell you why. I wish I knew what our neighborhood would fall in love with from our inventory right away, which kinds of wines they usually found themselves inclined to drink, etc. But our neighborhood is always changing (that’s Brooklyn), meaning that trends and tastes are always changing. 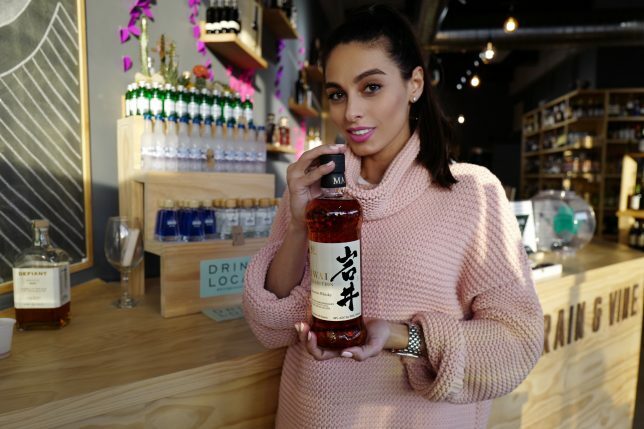 Sure, having polled our entire customer base for what they liked to drink would have eliminated some trial and error as far as inventory goes, but learning on the fly has allowed us to change with our guests and their preferences. In October of 2015, we participated in a marketing campaign for certain Spanish wines made from Garnacha in the region of Aragon. As part of that, we hosted a few Spanish wine experts including Pilar Cavero, one of Spain’s top sommeliers. Our plan for a formal wine class totally dissolved, but it worked out perfectly because as guests came into the shop and asked what was going on, they got to tag along with Pilar and chat about the delicious wines we carried from Spain. The whole team got into the fun. It didn’t go as planned, but it couldn’t have gone better. Go here to learn more about our integration with Square, and be sure to check out Grain & Vine if you happen to be in the area! The post Vender of the Week: Grain & Vine appeared first on Vend Retail Blog.